A True Sentiment and a Summer Farewell. Before I begin, I have to tell you all that this will be my last post of the summer. With all my stuff packed and getting ready to move, I'm afraid I'm just going to be too busy to be blogging this summer. We will also be on vacation this summer and I won't have access to a computer or my supplies. Don't worry though! I'm not leaving for good. I will most definitely be back. Probably the second week of August. Ok, so now on to today's post. I am alone with my coffee this morning. Sounds like a good time to share something creative. This is a very simple card that I made a while ago. I love the sentiment from this set Sip by Sip. In case you don't have it or can't read it here, it says "Chocolate, Coffee, men--some things are better rich. (Nothing more true was ever said!) 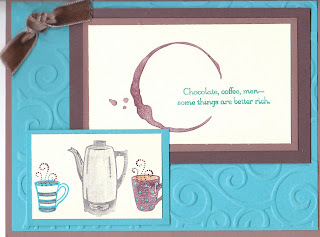 I often use this set when I'm making give aways for workshops and I give out little chocolate or coffee samples. I also tell my guests, "I can give you chocolate and coffee; but you're on your own to find a rich man. When you do though, be sure to let me know where you found him!" I also used one of my new cuttlebug folders (well, it was new when I made this) This one is called d'vine swirls. The Coffee urn and cups at the bottom were colored with pencils and blender pens. As I said before, I really like this set; but I do wish that there was something related to chocolate in it. Have a great day everyone; and enjoy your summer! See you in August! I decided to share something a bit different with you all today. A couple of years ago I decided to write a book. I don't know why and honestly I don't know how I did it. I just sat down at the computer one day and this story just sort of fell out of my head. I tried very hard (although I'm sure some would say not quite hard enough) to get it published; but just couldn't get any agency to take a look at it. I decided to self-publish it through Lulu.com, a print on demand service. There's all sorts of different opinions about the benefits and detriments to self publishing. For me, I decided to go ahead and give it a try because at least my story would be in a book form. I'm still holding out hope that one day someone will want to mainstream publish it for me, so for that reason I've not actually had an ISBN assigned to it. Mainstream publishers tend to frown on "self-publish" books. Ok, so that was a really long way of telling you nothing that you really care about!! 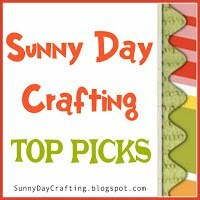 Since starting my blog I have been exposed to so many great people both in the crafting world and other areas as well. 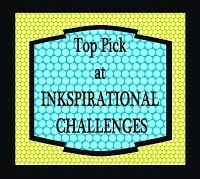 I thought, therefore that I would take the liberty to do a bit of self promoting as it relates to my book. 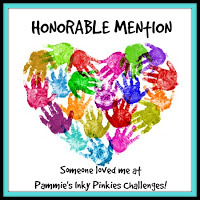 Those who have read it have had nothing but praise for me and the story. I would be honored if any of you would purchase my book, read it and let me know what you think of it. I have included a description of the story below. It may be purchased here. If you prefer, it is available through Amazon; but I will be honest and tell you it's more expensive there; and no, I don't get any more money from selling it on Amazon than at Lulu. Ok, so that's it for me today. Thanks for your support and I hope that you enjoy my book. Married to his college sweetheart, and the father of two adorable little girls, Todd Andrews has the perfect life...or so it seems. His perfect life is tainted, by a secret. When that secret leads to trouble, Todd takes drastic measures to keep the truth from his wife. Todd believes he has a perfect plan, until his best friend is murdered and his daughter,Allie is kidnapped. Now, he must find his daughter and take responsibility for the horrible chain of events he has set into motion. Can he find his daughter in time? Will his wife forgive him? Will Allie? Set in the beautiful upstate regions of South Carolina, Lilacs for Allie,is a story about the joys of love, marriage and parenthood. It is also a tale of heartache and loss, and the danger of keeping secrets. Finally, it is a story about the longing for forgiveness; and its ultimate uncertainty. Good Morning! Just sitting here enjoying my coffee before the rush of the day begins, so I thought I'd go ahead and post my card for today. 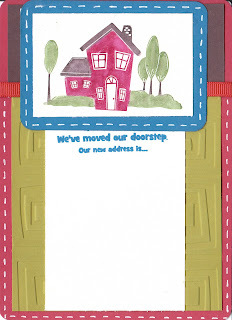 Actually it really isn't a card, it's just a card "front" As you are aware we are going to be moving to Rhode Island in a few weeks (from SC) and I thought it would be nice to make up some cute change of address cards for friends and family. 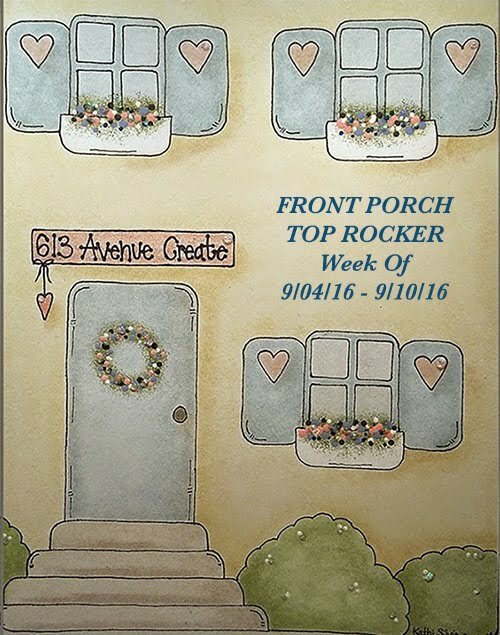 I thought this set called "Welcome Home" was perfect; and considering that this is not the last time we will move, that it will come in handy again next summer when we move AGAIN! It also has some good stamps for saying goodbye to people and welcoming people to your neighborhood. All great things to have in a military community. As you can see it's all fairly straight forward, so I don't think I need to bore you with all the details. I made up three different groups with different color combinations, just so I wouldn't get bored making so many of them! I used markers for the stamp and then used my blender pens to go over the color to just clean it up a bit and make the colors stand out more. Have a great day! I hope you all had a fabulous weekend. I'm sorry I didn't get a chance to post yesterday. I did do my Mojo Monday card yesterday;but then spent the rest of the afternoon packing up all my stamping and scrapping supplies. (Gasp! I know! No more stamping until August! I could suffer from serious withdrawals) I Can hardly believe we only have a little over 3 weeks left before we move. Don't worry though, I have enough cards to share with you for the next week and then I will pre post some for the first week in August. Little did you all know that I've been working double time these past couple of weeks making extra items. I didn't want to just stop blogging the first part of June and not have anything for the next 3 months. Ok, so onto the card. I decided to use my "Garden Thoughts" from Our Craft Lounge. 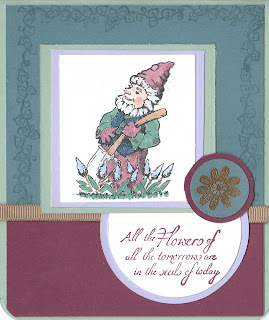 I've not used the little Garden Gnome and I just thought he was too adorable and exactly the right fit for the card. I recently acquired my first few COPIC markers and I have to admit, they are as fabulous as everyone raves. I love them! I can't wait to get more. Of course, I forgot to write down the ones I used to put them here; and now they are packed away! Basically I used COPICS for his face, hair/beard, hat/pants and shovel. I used SU markers for the shirt, vest, flower stems and flowers and shovel handle. The small flower on the bottom right corner of the image is from Paper Salon "Oodles of Doodles" and I embossed it in gold powder. I needed something to stand out on the Blue Bayou paper because I didn't want to use white again. So that's it for me for today. Have a great day and thanks for visiting with me!